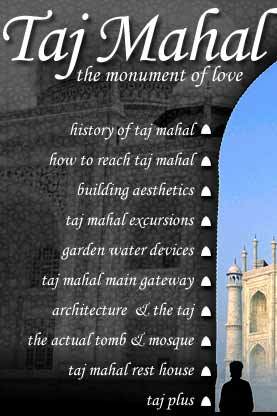 Tajmahal Information - An eloquent and ornate poetry in marble that presents a picture of eternal love. Sheer poetry in marble. Majesty and magnificence, unrivalled. Love redefined. 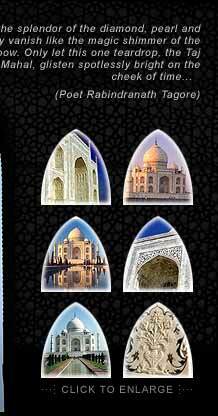 The Taj Mahal, the one and only one of its kind across the world. 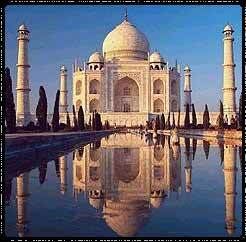 The monumental labour of love of a great ruler for his beloved queen. The ultimate realisation of Emperor Shahjahan's dream. One of the wonders of the world. From 1631 A.D., it took 22 years in the making. 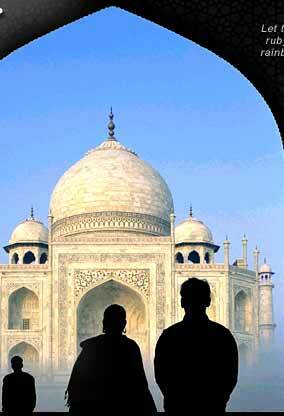 An estimated 20,000 people worked to complete the enchanting mausoleum, on the banks of the Yamuna in Agra.